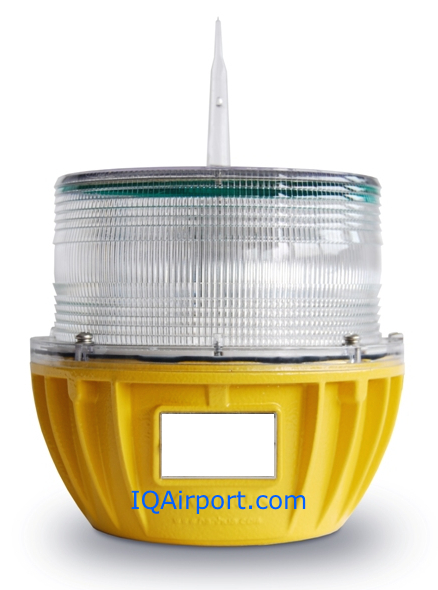 Solar Aviation warning Light, Solar Obstruction Lights, Solar LED Obstruction Light FAA L-810, Tower Obstruction Lights, Aircraft Warning Lights for Towers‎. 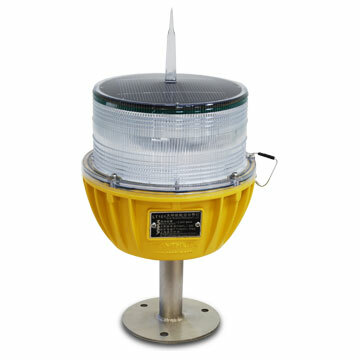 Solar Helipad Lights FAA, Heliport Lights, Helipad Lighting Systems, Heliport Beacons, Solar Helipad Lights for Heliports, Solar Helipad Lights TLOF & FATO Lighting, Solar Helipad Lights Heliport Solar, Solar Helipad Portable & Temporary Lighting, Airport Solar Lighting, Solar Heliport Lighting, Solar Obstruction Lighting. 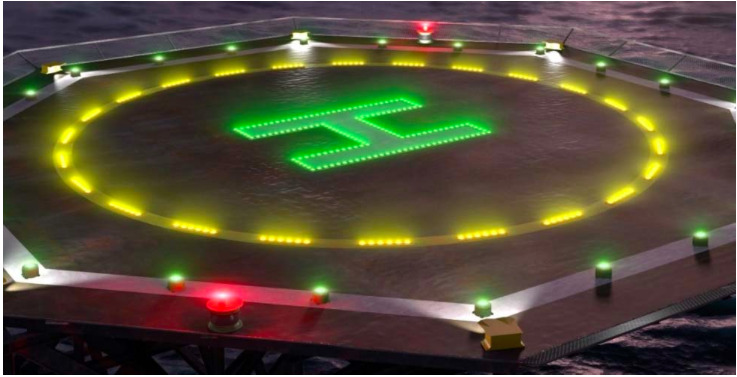 Solar Helipad Aviation warning light is specially designed for masts & tower obstacles (Telecommunication, GSM, Radio & TV), tall cranes, chimneys, tall buildings, sport stadiums, light pylons, high voltage towers and any other potentially hazardous obstructions to air traffic. With steady or flashing red safety light. Coupled with the latest LED technology, high grade silicon solar battery module, maintenance-free NIMH battery, the light will provide over 20 days of continuous operation in continuous rainy and cloudy days. 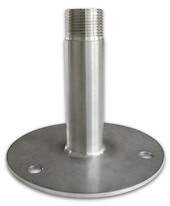 The housing uses Polycarbonate and die cast aluminium base, providing completely watertightness. 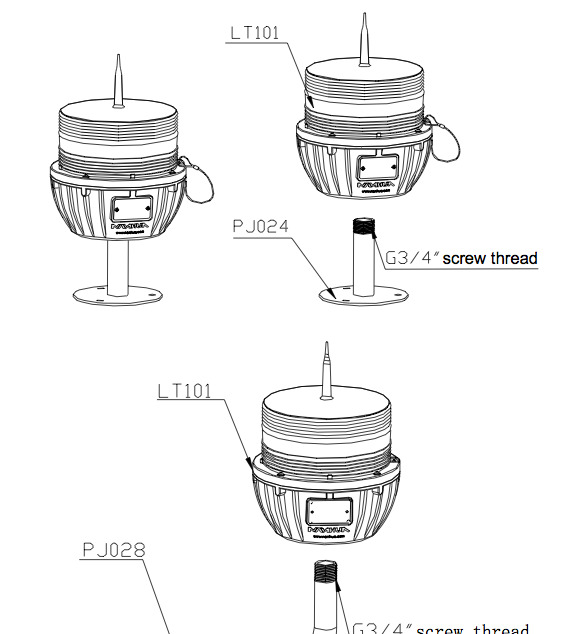 The built-in photocell can switch ON/OFF the light at dusk and dawn. The product has the advantage of shockproof and can withstand the harsh effect of the environment. 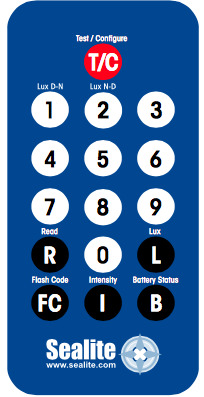 Flash setting can be customized based on your requirement. Please read the instruction manual carefully before operation. 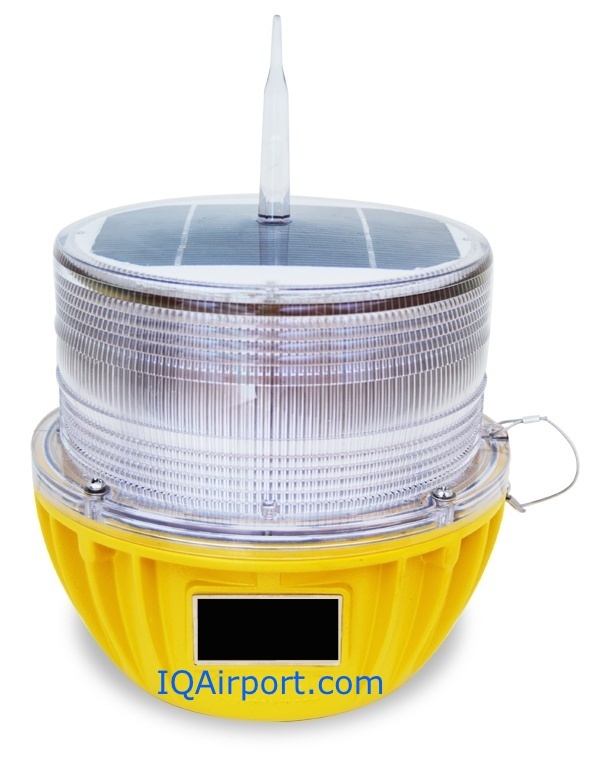 Mount the solar light in the most suitable place such as under direct sunlight, to ensure its continuous operation. 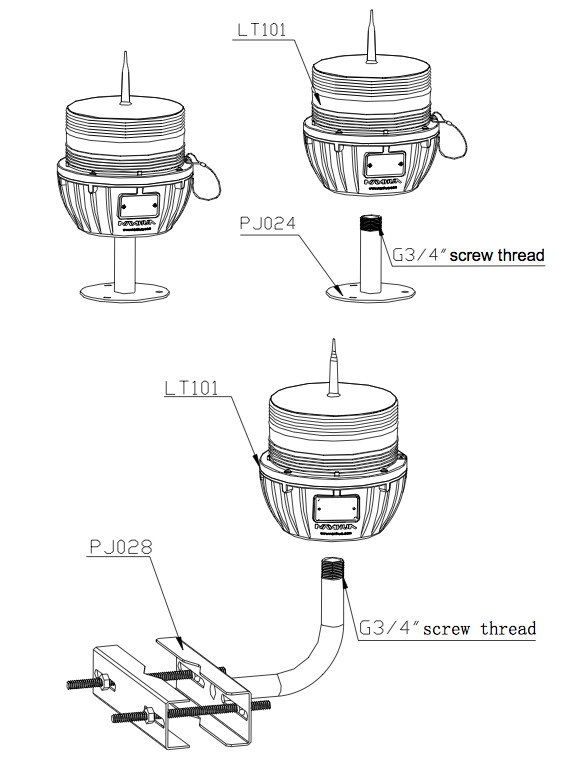 Screw the lamp on the G3/4'' threaded pipe, which should be fixed on a smooth surface with enough mechanical strength (see mounting drawing). When first operation, if the light does not light up in dark places, please put the light under direct sunlight for approx. 12 hrs. Keep the light in a very dry place, such as places with low humidity if do not use the light for a long time. 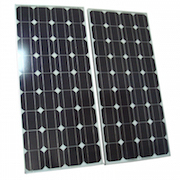 Put the light under direct sunlight for three days every 40 days, to ensure the battery capacity. 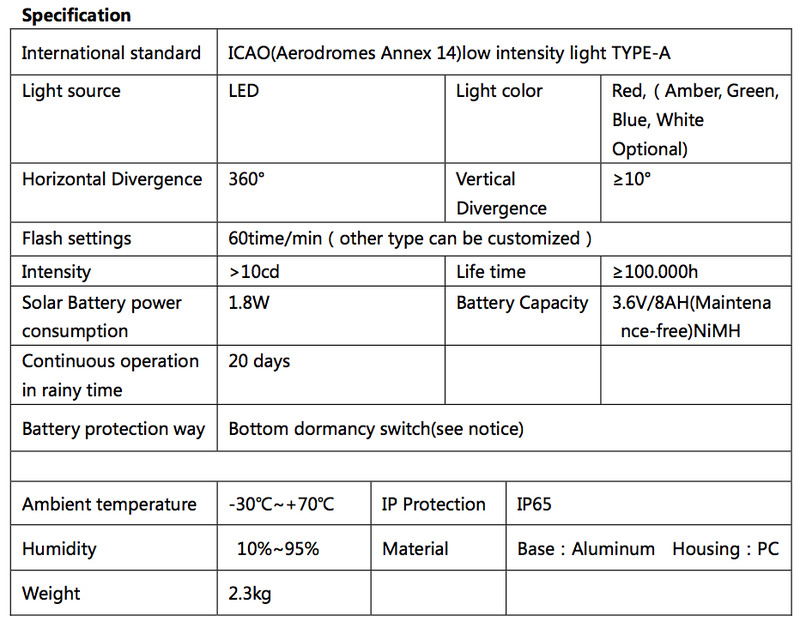 Built in NIMH battery, after being used 450 times (15 months), the battery capacity is approx. 80% of previous capacities, at this moment, please replace the battery in time.